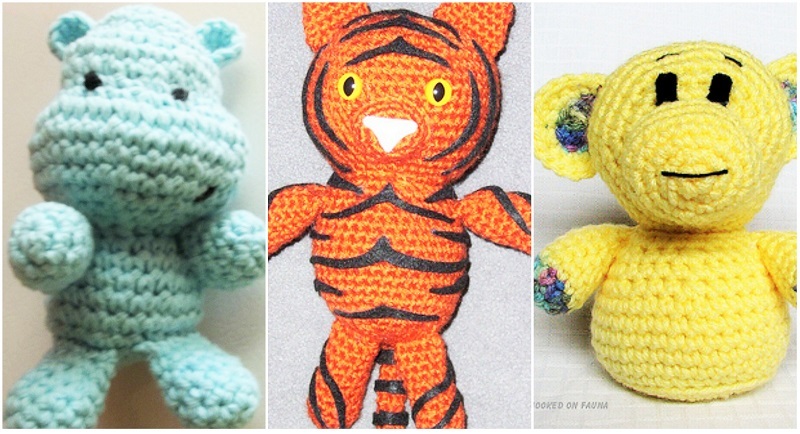 Crocheting stuffed animals is an exciting pass-time with an adorable outcome. There are thousands upon thousands of unique patterns you can follow to make any stuffed friend you desire. From a fun spin on the classic sock monkey, to several takes on teddy bears and other animals, and even adorable pieces of food complete with smiling faces and huggable arms, there is something for everyone. These projects make for a fun way to decorate your craft room, or a cute homemade gift to make for a special someone. 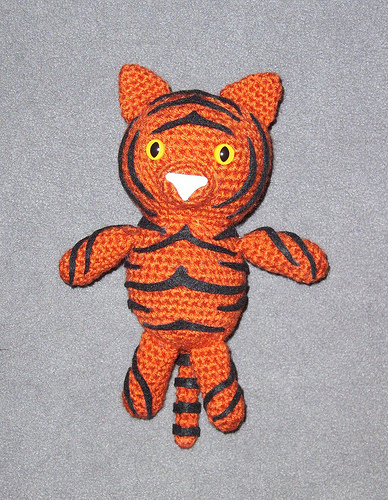 This post is the first of a three-part series for crochet stuffed animals. Dedicated to jungle animals, here we are going to take a look at four wonderful projects: a hippo, a lion, a monkey and a tiger. 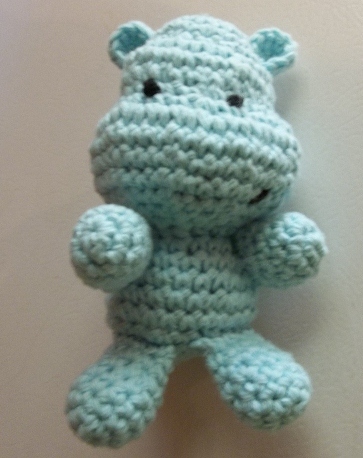 The hippo is a small project that is easy for any skill level. It features one main colour, and a very small amount of a secondary colour (typically black) to create the face details. This project shouldn’t take longer than a day, and is a wonderful place to start when learning to crochet animals. 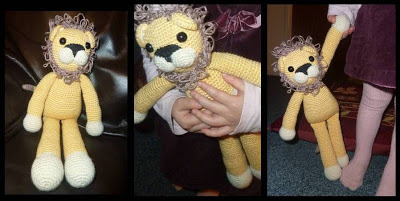 The lion we’ve chosen is a larger cuddly friend that uses four colours in total. There is a significant amount of detail in the head, so it is a project that is better suited for those with a bit of experience with crocheting. His curly mane and 3D cheeks make him as charming as he is. A jungle post wouldn’t be complete without a monkey! 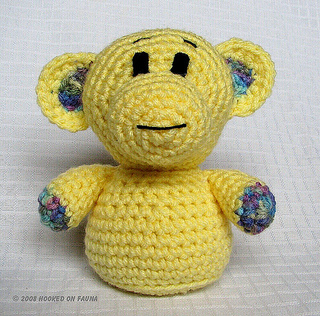 This pattern has been called “Poncho the Monkey”, and he is a tiny, sweet little monkey pal. This project is also excellent for beginners, and shouldn’t take longer than a day or two to complete. He uses three different colours, and features a fair amount of detail to make him appealing to any recipient. Another animal that must be included in a jungle post is the tiger! This fancy tiger has one primary colour (orange), and features black stripes, and a white nose. This particular pattern uses doll eyes, but you could always make your own using black yarn. He is a good project for those who have previous experience with crocheting.